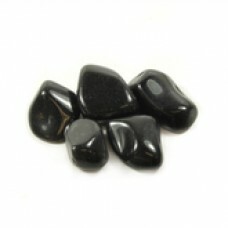 Apache Tears is a gentler form of Obsidian, translucent when held to the light. Excellent for absorbing negative energy, protecting the aura, grounding & cleansing the earth chakra. So named because it is believed to shed tears in time of sorrow, also claimed to be the tears of dead Apache warriors.It comforts grief, provides insight into the source of distress, relieves long-held grievances & promote forgiveness.